Ladies of all ages: a book especially for you, although men will enjoy it too: we did! 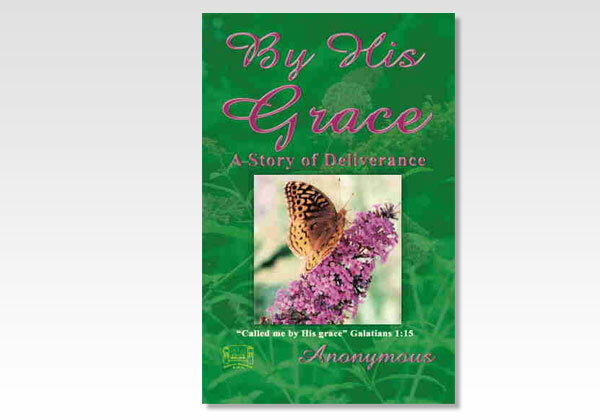 This book gives autobiographical accounts in the life of an ordinary sister who has allowed herself to be used by the Lord in remarkable ways. She has worked, was married for 47 years, and has made mistakes in her life when self-will instead of the Lord's will, became prominent. She doesn't hesitate to speak of those mistakes-even the big ones! She by means of this book wants to help young and older to find courage to serve the Lord as He directs, and to steer clear of the self-will she found in her life. This can only be done by daily depending on, and casting all on the Lord! We think you will find this book both fascinating and spiritually helpful and uplifting! You'll notice the author's name is Anonymous. She has asked that we do not use her name, not that she is ashamed of her life, but because she wants all honor to go to the Lord! Again, it was all by His grace!